About | Trigon Survey & Investigation. 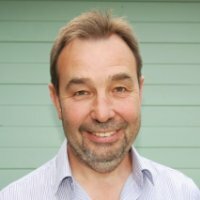 Trigon Survey and Investigation Ltd is owned and managed by Vaughan Snook, who is both a Chartered Engineer [view profile], and member of the Institution of Civil Engineers. Trigon has comprehensive experience in the production and use of land surveys, structural monitoring and engineering on live construction sites. Our aim is to provide builders, developers, architects, contractors and private clients with a high quality personal service that delivers diligence and attention to detail. 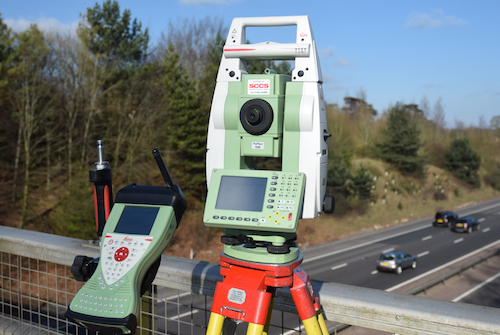 Covering every aspect of land and property surveying, Trigon provides 2D and 3D topographical surveys (‘topo surveys’) to OS grid and datum, level only surveys, site engineering and precision level monitoring. Trigon is fully insured with public and products liability (£2m), employers’ liability (£10m) and professional indemnity (£1m). Learn more about our services by contacting 01256 352794 or email Vaughan@trigonsurvey.co.uk. Trigon has over 30 years experience working on the front line of a wide range of civil engineering and private sector development projects. 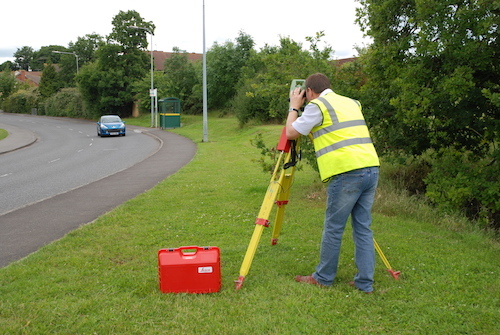 Prior to any development project, it’s advisable to obtain a full survey of the land or site. As many professionals and individuals will testify, an accurate and comprehensive land survey is invaluable when it comes to avoiding costly mistakes later in the process. Trigon use the highest specification surveying instruments and ancillary equipment to deliver this. We provide a high quality land survey service for new developments, as-built records and boundary disputes. We also produce Land Registry Plans. We offer a site engineering and setting out service for civil engineering contractors and builders. 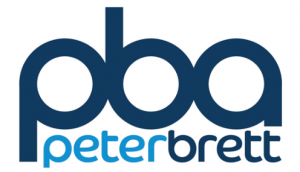 We’re often available to accommodate short notice requests, so please contact us to see how we can help. 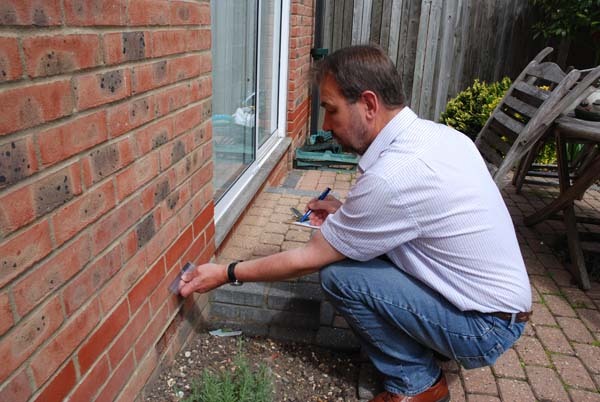 We undertake level monitoring of buildings and structures using specialised precision levels, that give a typical recording accuracy of 0.1mm. The separate, but often twinned, exercise of crack monitoring using high accuracy digital calipers can also be provided. Both processes have wide application, not only in connection with subsidence, but wherever the effect of a disturbing influence over time on a structure, e.g tunnelling, mining or landslips, needs to be captured. If you would like to know more about our services or to book a consultation contact us on 01256 352794.